Lexmark Return Programme cartridges are patented print cartridges sold at a discount in exchange for the customer’s agreement to the licence requirement that the cartridges will be used only once and returned only to Lexmark for remanufacturing and/or recycling. 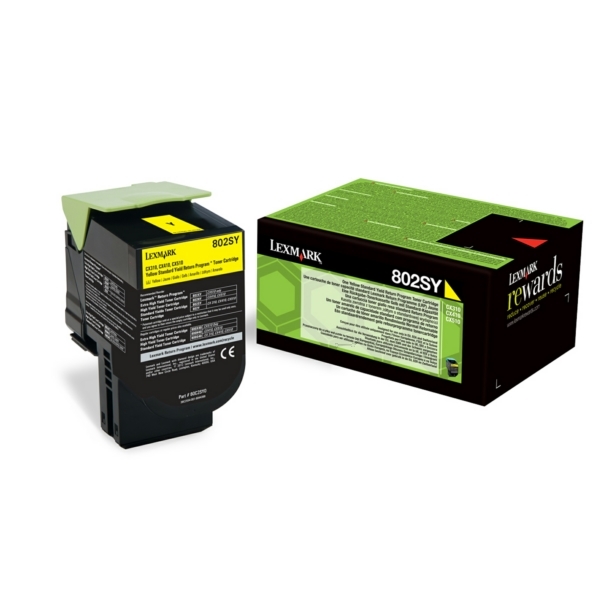 The Return Programme cartridges are licensed for single-use only and are designed to stop working after the delivery of a fixed amount of toner/ink. A variable amount of toner/ink will remain in the cartridge when replacement is required. In addition, the cartridge is designed to update the memory automatically in your printer to protect against the introduction of counterfeit and/or unauthorised third-party cartridges.